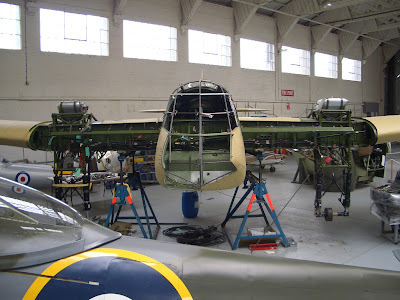 For some time now I have enjoyed an email friendship with a lucky man who does volunteer work at RAF Duxford, my favourite RAF station. 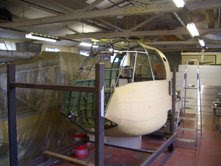 Every now and then he shares with me some photos of the projects they have underway. I've logged a huge file of photos over four different hard drives, so excuse me if they seem to be in a strange order - but like a jigsaw they will all add up in the end. 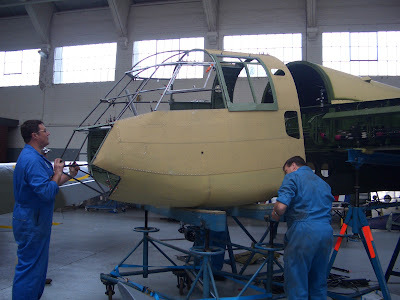 I'm posting a few here of the early stages of the reconstruction of a Blenheim. This project began a few years ago and is still underway. 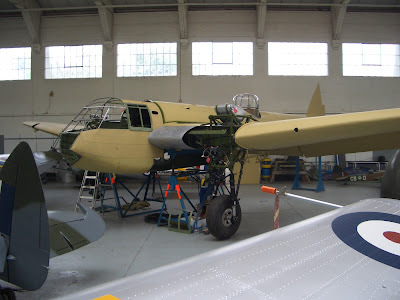 The fund-raising organisation is www.blenheimsociety.org.uk if you would like to take a look at the site and found out more. 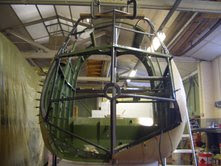 Most of the members are ex-Blenheim crew, but anyone is welcome to join or contribute - this is the charity responsible for the reconstruction, and the airframe is owned by Blenheim Duxford Ltd. Enjoy! As usual, more to come. Thanks to Bill Aitchison for his continued enthusiasm and commitment.